notified earlier this fall of their selection for full scholarship tuition waivers by the Department of Education to attend a participating Massachusetts public institution of higher education. Recipients of a John and Abigail Adams Scholarship award are eligible for a non-need based tuition waiver to one of 27 participating public institutions of higher education in Massachusetts. 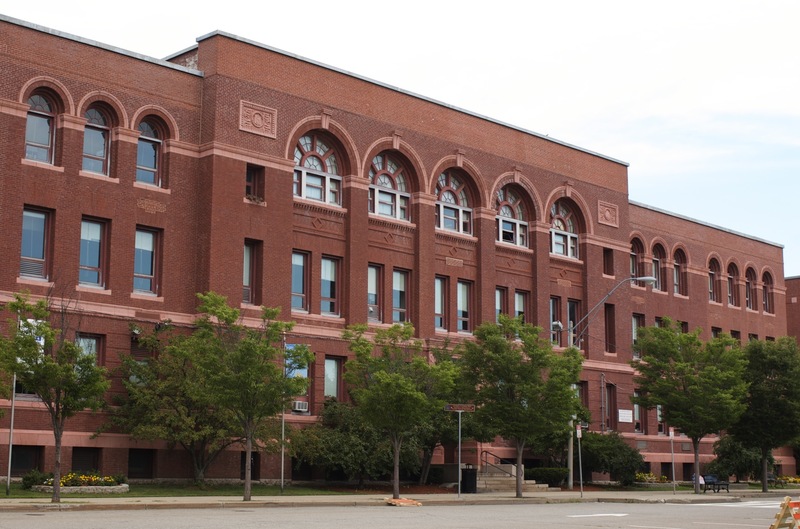 A list of those institutions is available on the Department of Education website at http://www.doe.mass.edu/mcas/adams.html. The award covers the undergraduate tuition rate at the participating institution. Award recipients must enroll full-time in a participating public college or university in order to receive the award, and must maintain a GPA of 3.0 and annually complete the Free Application for Federal Student Aid (FAFSA) for continuing eligibility. Students must meet certain requirements in order to be eligible for a John and Abigail Adams Scholarship award, including scoring in the Advanced category in either the Mathematics or English Language Arts grade 10 MCAS test and scoring in the Proficient or Advanced category on the second subject. Students must also have a combined MCAS score in Math and ELA that ranks in the District’s top 25%. Visit the http://www.doe.mass.edu/mcas/adams.html for additional eligibility and other information about the John & Abigail Adams Scholarship. Bianca Aires, Kathlyn Almeida, Isabella Andrade, Michael Andrick, Gongga Baerde, Joao Baptista, Eduardo Barrera, Patrick Boland, Elizabeth Bransfield, Nicole Carney, Tiffany Castro, Connie Chan, Sophina Clough, Isadora Coimbra, Leonardo DaSilva, Grecia de la Gala, Milton Diaz, Nina DiNatale, Kaitlan Doherty, Nifashe Enatah, Carlos Ferreira, Cody Fitzgerald, Eliza Jane Forrest, Pamela Fourtounis, Maxwell Freitas, Nicole Gouveia, Naomi Gutierrez, Alba Haxhimali, Marianne Henriksen, Andy Henriquez, Delmy Hernandez, John Iacovino, Sadia Islam, Tyler Jacques, Kalvin Janik, Terence Jeremie, Sung-Jim Joo, Cathrina Jorge, Ravneet Kaur, Jamie Keegan, Kevin Kriesen, Oneda Lalaj, Gary Lam, Julian Layton, Jonathan Lentini, Graham Lessard-Brandt, Damon Li, Briana Lino, Vanna Loue, Saragrace Magre, Jacob Margolin, Monica Marroquin Argueta, Jonatan Martinez, Gabrielle Mathews, Jennifer Matthews, Rebecca Moffett, Elizabeth Mooney, Osvaldo Moreno, Nicole Mulone, Felipe Neto, Brenda Nguyen, Ryan Nolan, Emily Kate O’Brien, Kayla O’Regan, Vladimir Porokhin, Daniel Portillo, Graciela Portillo-Pena, Lipasha Pradhan, Sparsha Pun, Marisa Rafal, Elliot Rippe, Giovanni Rivera, Laurie Salvato-Sousa, Isaac Saron, Nicole Sentner, Anup Shrestha, Kunjal Shrestha, Austin Silvestri, Arjun Singh, Elizabeth Sousa, Ethan Sweeting, Bruno Urils, Arlin Varela, and Hayley Williams.